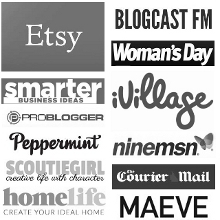 Meredith Ireland runs a retail space in Tasmania promoting local makers and creatives. She is also a weaver and my right-hand gal here at Create & Thrive. In this episode, we discuss what the process of wholesaling your products looks like from a retailer’s perspective, the do’s and don’ts of approaching a retailer, and also the reasons why retailers charge what they do. 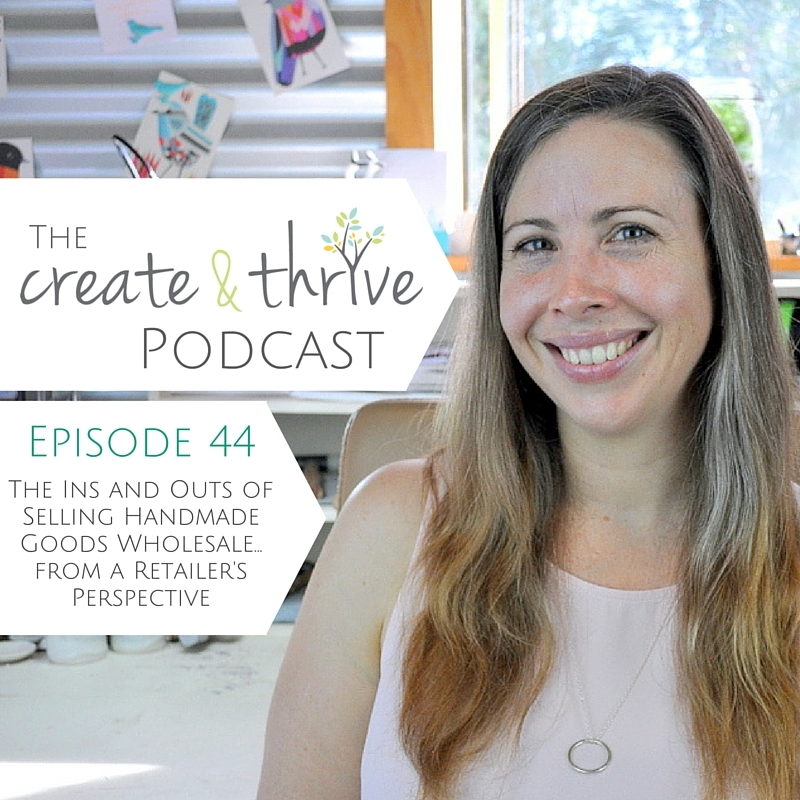 As a maker and a retailer Meredith sees both sides of this relationship and so we discuss this and how best to go about approaching retailers with a good chance of success! If you would like to hear what it’s like to be on the other side of the handmaker-retailer relationship, don’t miss this one. Meredith Ireland runs the retail space Old Franklin Store. Meredith is a weaver and also runs weaving workshops in her retail space. The decision to run weaving workshops felt natural. Customers wanted more than to just buy her products, they wanted to know how and why. Old Franklin Store started with only consignment based suppliers to keep start up costs low but is now moving more towards wholesale. Makers are selected based not only on what Meredith likes but what fits aesthetically in the space and what doesn’t directly compete with other makers work. The best way to approach a retailer is via email as turning up unannounced can be confronting for both parties and the timing will almost always be wrong. Within your initial contact email make sure you include good quality photographs of your work. Send a back story as an attachment to the email. This means the retailer only has to read it when they want to and gives you the opportunity to keep the body of your email short, sweet and to the point. Are follow ups OK? Yes! Retailers are so busy and have so many offers coming in that it is easy to put them aside even if they are very interested. Never be offended if you don’t hear back. This usually has nothing to do with you or the quality of your work. Remember that one ‘No’ is not the end of your wholesale journey. Social media is one Old Franklin Store’s most effective marketing tools as well as local radio and newspapers. The time and expenses involved with running a handmade retail space are incredible. As a supplier it is important to remember this as the reason why rates are sometimes as high as 50%. A big lesson for Meredith was to ride out the hard times because they make the great times worth it. If you are unsure with any aspect of packaging or displays for your retailer just ask. All will be different. The relationships built with suppliers and customers have been one of the biggest rewards for Meredith. Old Franklin Store focuses on promoting the maker and encourages relationships between the maker and the customer. Decide prior to contacting a retailer if you will sell only wholesale or consignment or both so you can be prepared. Don’t be afraid to approach retail spaces and put your name out there. They can only say no. P.S. If you want to dive into the world of selling your goods to retailers, but don’t know where to start or what to do, our eCourse Wholesale Know-How is perfect for you! Check it out here.